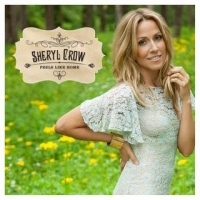 Sheryl Crow - Feels Like Home - Gordon Lightfoot Book, Music and More! Crow’s never had a problem writing memorable story songs. The Missouri-born singer has won nine Grammy Awards for her work and sold over 35 million records to date. But settling in Nashville in 2006 to raise her two adopted sons proved to be a boost for Crow’s craft. Her eighth studio album, co-written with top country artists, features her most succinct and touching songwriting to date. “The thing about country music,” she says, “is the stories you tell usually get to the point quicker.” Case in point: “Waterproof Mascara,” a Loretta Lynn-style number written with country star Brad Paisley in which a single mother of a son sings how her eye makeup “won’t run like his daddy did.” In “Stay at Home Mother,” a child begs her busy mom not to rush off to work. Humor also shines through on the new album. “Crazy Ain’t Original” documents a mixed-up world where “what everybody used to call a freak show, well now we call reality TV.” Embracing country music’s pithy lyrical style, Crow’s crafted a winner.